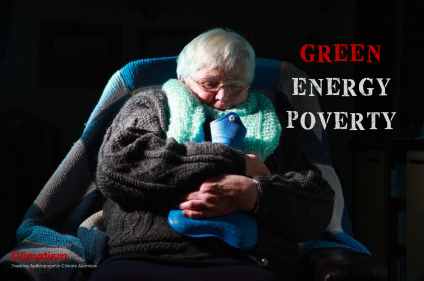 5) Green New Deal: The Secret Republican Weapon? By October, things were certainly not looking good for the big boys in Exeter, with the August anomaly, at 0.58°C, already outside their predicted range. Meanwhile, no fewer than eight GWPF readers were quietly polishing the cut-glass tumblers in anticipation of glory. So here we are in the New Year, and the results are out. 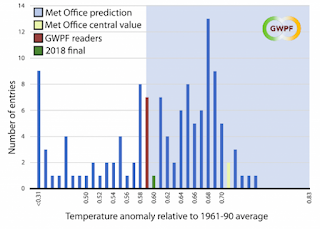 And fortunately for the Met Office, a somewhat warmer autumn has allowed them to pull mild respectability out of the jaws of disaster: the official value of the HadCRUT4 average is 0.596°C, which we are rounding to 0.60°C for the purposes of the competition. 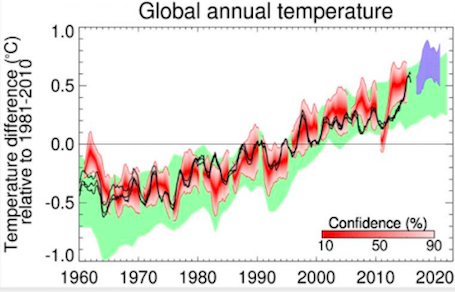 This means the experts’ prediction range just takes in the outturn. And that means we have a single winner. Congratulations to Frank (for that is his name). We will be in touch soon to arrange delivery of his prizes. 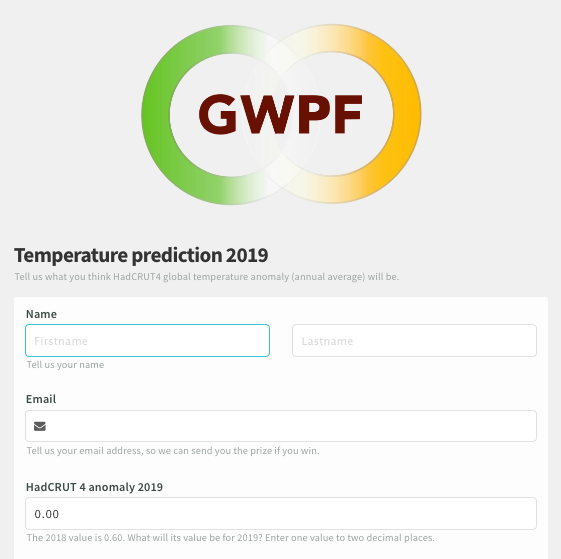 It’s interesting to note that the average value entered by GWPF readers was 0.59°C, and the median was 0.63°C. 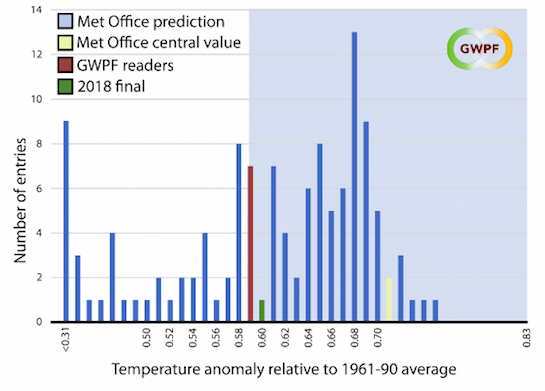 GWPF readers therefore did quite a lot better than the paid experts. Shall we see if we can do a repeat performance for 2019? The competition is up and running here. To enter, simply fill in the form below. Please make sure to enter just a single number representing the HadCRUT4 global average for 2019, in anomaly format, to two decimal places. The current value is 0.60. Scientists who made apocalyptic warnings that the sea level could rise more than two metres this century were probably wrong, according to a new assessment. 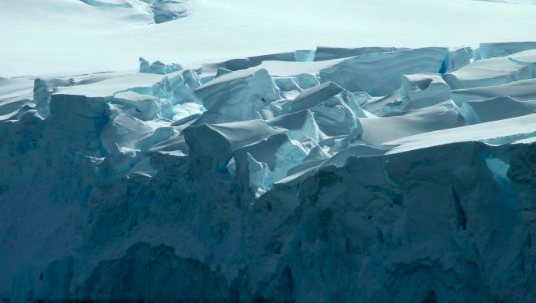 Researchers at King’s College London found that it would be closer to one metre by 2100 because Antarctica’s towering ice cliffs were less likely to collapse than had been claimed by US scientists. 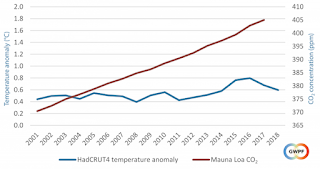 The revised prediction challenges a study in 2016 by Penn State University claiming that Antarctic melting alone could contribute more than a metre to the rise in sea level. 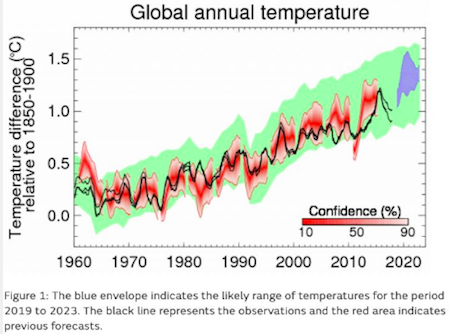 The melting of glaciers and the Greenland ice sheet, plus thermal expansion of the oceans, are expected to add about another metre, meaning that the total rise would have been more than 2m had the US study been correct. However, the King’s College London scientists studied sea level rises three million years ago, 125,000 years ago and over the past 25 years in more detail and found that they could be explained without assuming that the ice cliffs had collapsed. 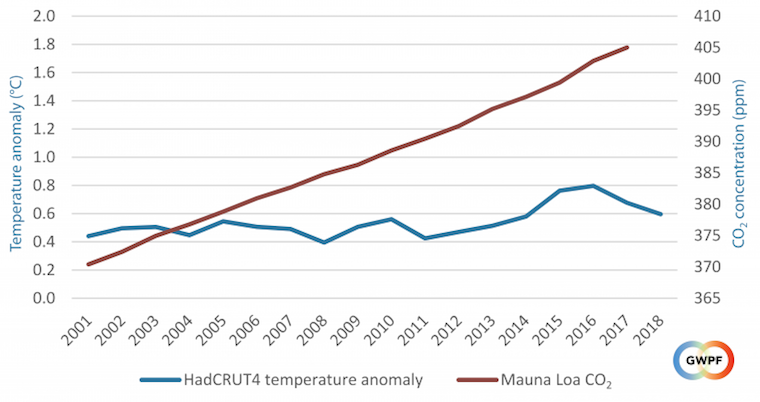 Even if greenhouse gas emissions continued at a high rate, there was only a 5 per cent chance of Antarctica’s contribution to sea-level rise exceeding 39cm by 2100. It was most likely to be 15cm, meaning that the total increase would be about 120cm — still higher than the 98cm forecast in 2013 by the Intergovernmental Panel on Climate Change. France has signalled its opposition to a controversial gas pipeline from Russia to Germany, raising the odds that Brussels will bring the project to a halt. The project is staunchly opposed by the US and most of Germany’s regional allies, including Britain and Poland, on the grounds that it will tighten Moscow’s grip on Europe’s energy supply. The American ambassador to Germany recently threatened to push for sanctions on the companies involved. France has now indicated that it will join efforts to stop Nord Stream 2 by rewriting the European Union’s gas regulations. Its apparent change of heart comes scarcely a fortnight after a Franco-German treaty that was supposed to meld the two countries’ foreign and economic policies. Sources in President Macron’s government told the Süddeutsche Zeitung newspaper that the heavy involvement of Gazprom raised “strategic problems” for Europe. The energy company, which is majority-owned by the Russian state, will operate the pipelines and supply the gas that flows through them. “We do not want to increase our reliance on Russia and so harm the interests of EU states such as Poland or Slovakia,” a French official said.